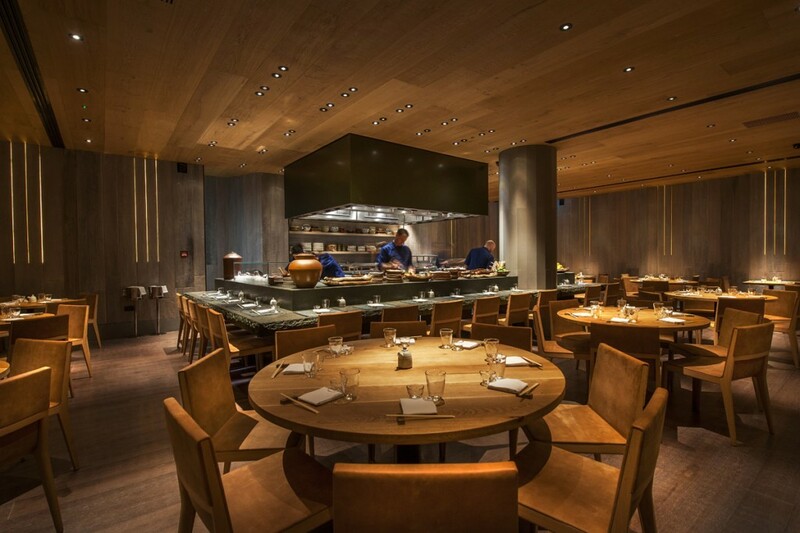 The Roka restaurants offer a unique style of Japanese Robatayaki cuisine and urban design, and are under the leadership of the infamous Rainer Becker. 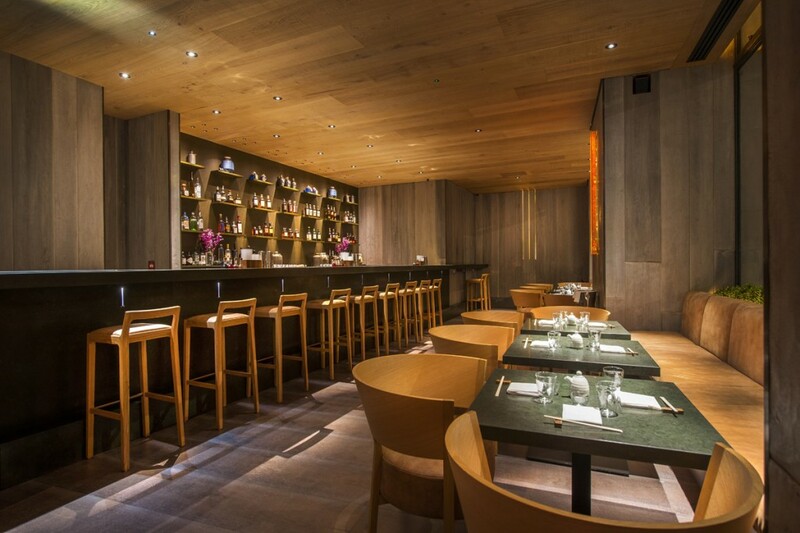 After working on the Roka Mayfair site and with the client on Oblix at The Shard into were appointed as lighting consultants, with a brief to create a warm atmosphere with certain bespoke-designed details. 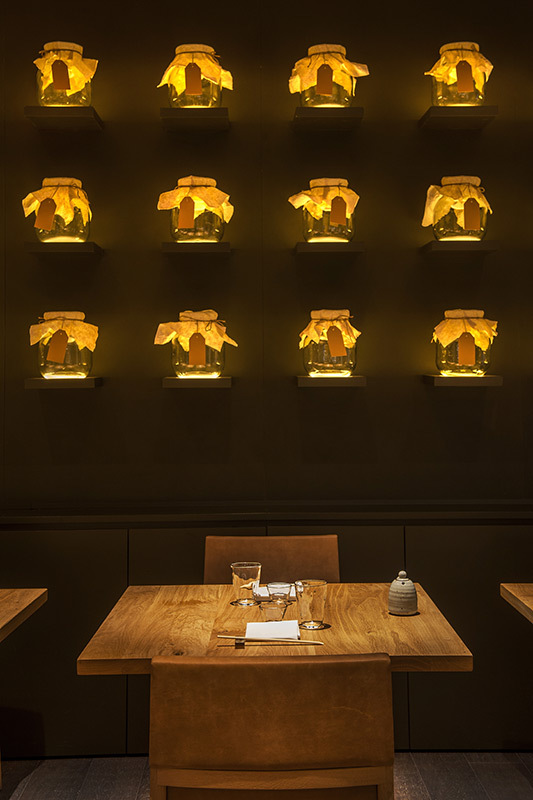 At the entrance to the restaurant a spotlight onto a Japanese bath and miniature led downlights with warm filters grazing a textured stone wall create an inviting atmosphere. 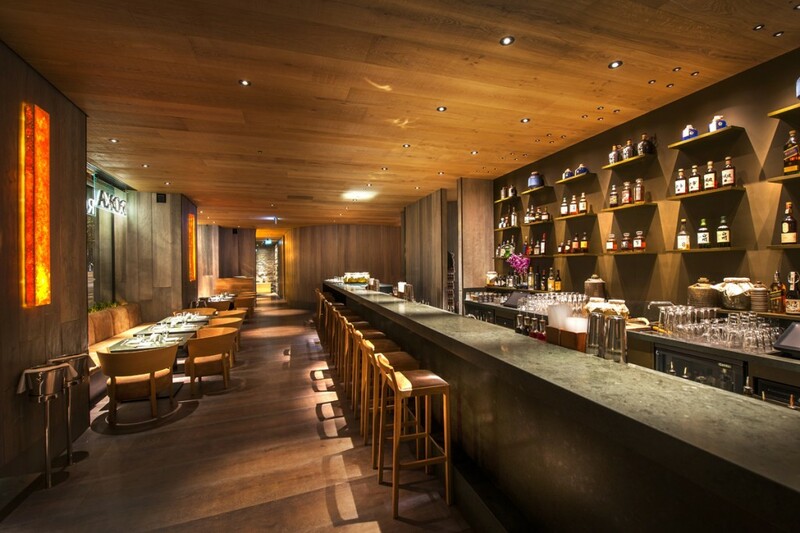 Low-level led slot details provide a low light ambience in both the Lounge Bar and the main restaurant space. 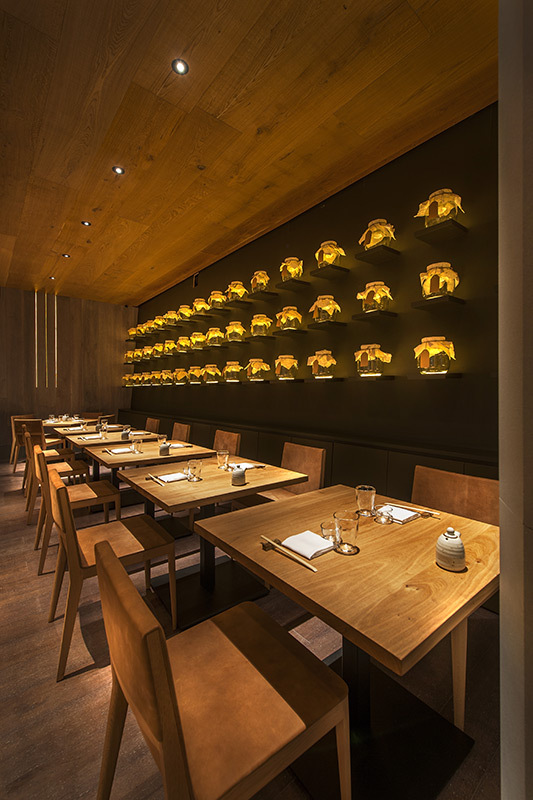 Halogen downlights were chosen for a warm colour temperature lighting scheme and arranged in many control groups for increased flexibility for the client. 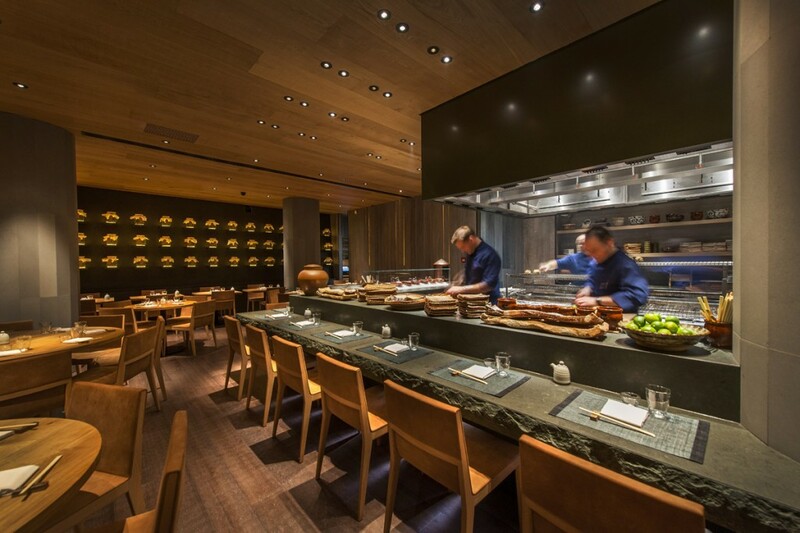 Feature wall lights made of Travertine stone and linear led within emit a soft glow and the central Robata Grill – the heart of the restaurant – has several layers of downlights to effectively light the eating area, display area and working area. 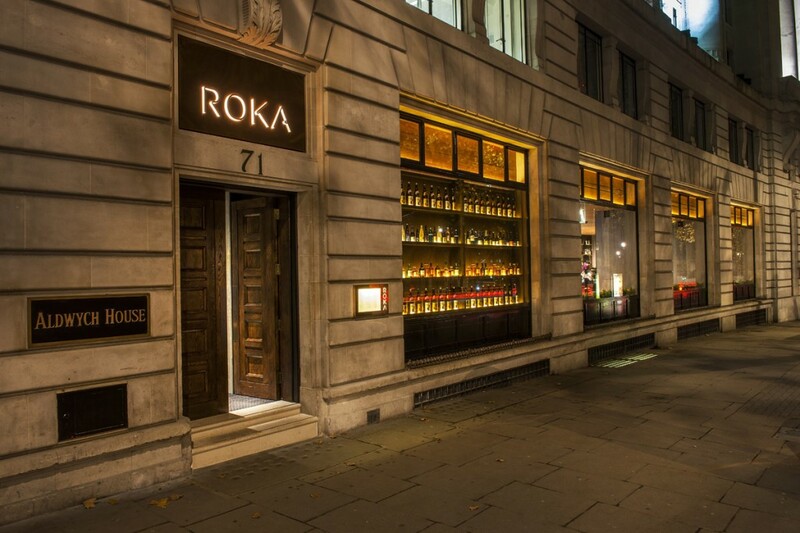 The Roka Aldwych restaurant is a successful collaborative design which creates a modern Japanese urban dining environment that is warm and inviting. 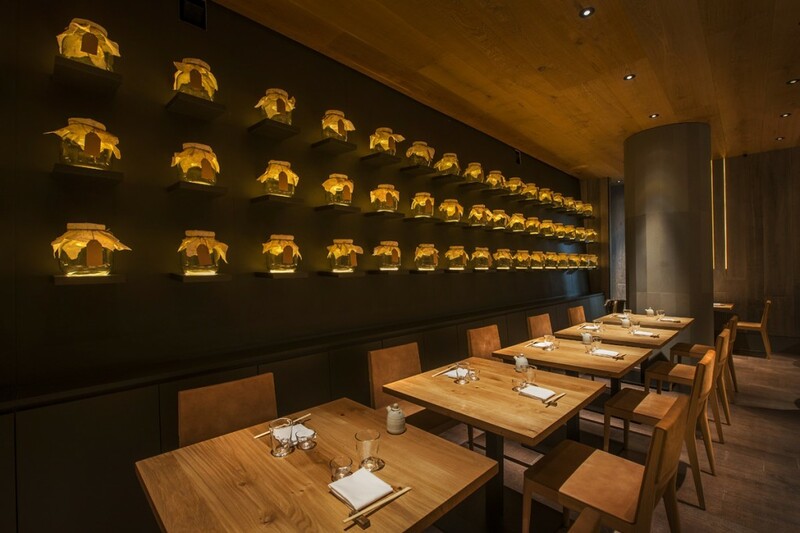 The lighting scheme focuses on low-level and feature lighting details. 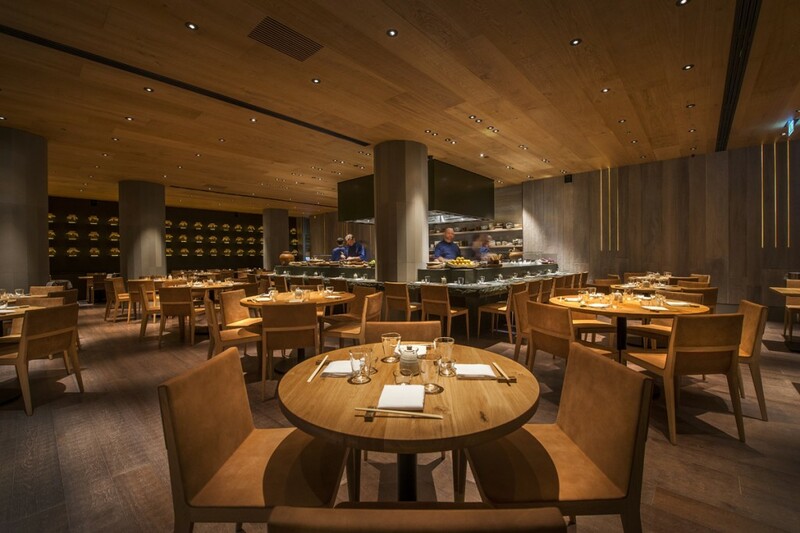 All linear LED was specified at 2200k and is DMX dimmable for a flexible and warm atmosphere and to suitably highlight the emphasis on textured natural materials.